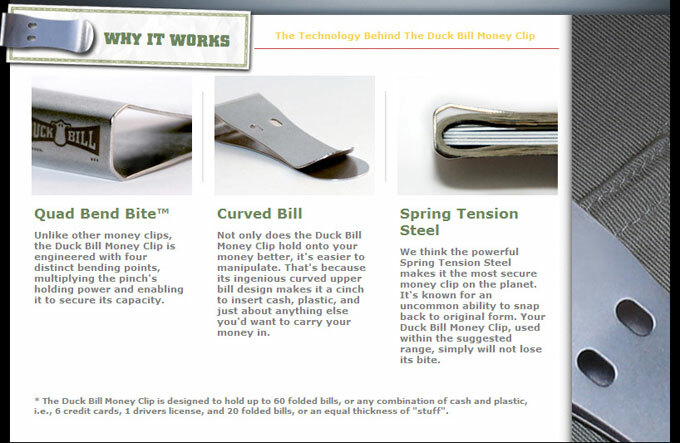 CarArtWork has teamed up with Duck Bill Design to bring you "simply the best money clip ever"! 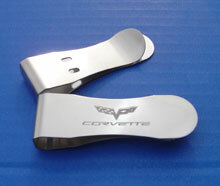 Crafted in stainless steel and engineered to keep your cash, plastic and "stuff" securely gathered, this patented design is strong, durable and extremely cool. 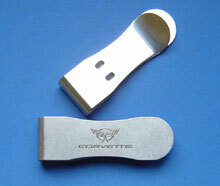 During the 2009 C5/C6 Bash, I purchased one of the C6 Duck Bill money clips. I admit that the only reason that I bought it was for the C6 Emblem. I gave it a try and I wanted to let you know how impressed I am with the product. You said, “It would not loose its shape.” I was skeptical, however, I’ve used it hard and it has not lost its original shape. I have put as many as 50 bills in it at one time. Daily it carries 10 cards and 10 bills. 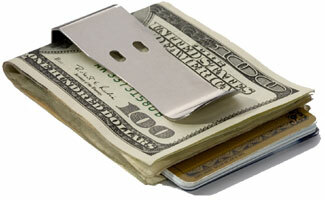 This is the only money clip that I use now. Thanks so much for a great product. I would definitely recommend this product. 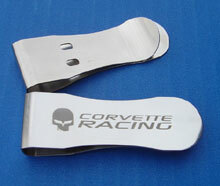 Would you like to have your Corvette Money Clip personalized by Master Engraver Ken Brown? 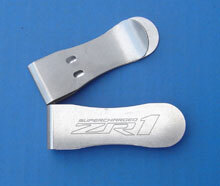 If so, please ask for an Engraving Package in the Comments section of the order form and information will be included with your order.